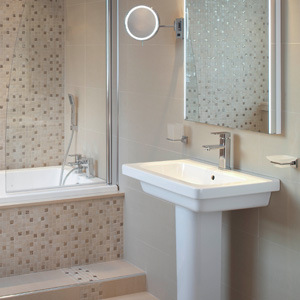 We offer a unique range of bathroom suites and furniture in a variety of shapes, sizes and styles. From traditional and timeless to modern and minimalistic, you’re guaranteed to find something to meet your personal tastes and requirements at Leekes. Whether you’re looking for an entire bathroom update or just want to give your space an instant refresh with a new basin, shower or bath we have something to meet all bathroom interior needs.